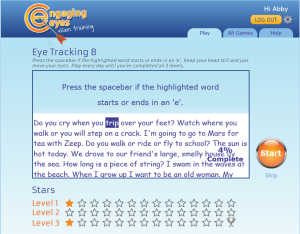 Engaging Eyes – Real Special Ltd. 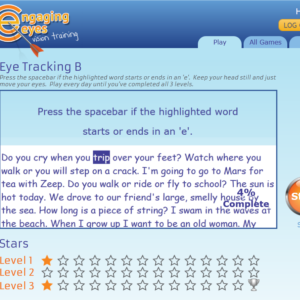 Engaging Eyes is a unique software programme to help any child who is struggling or underachieving in reading; or for any child who has dyslexia, dyspraxia, ASD, or ADHD, visual stress or convergence insufficiency. 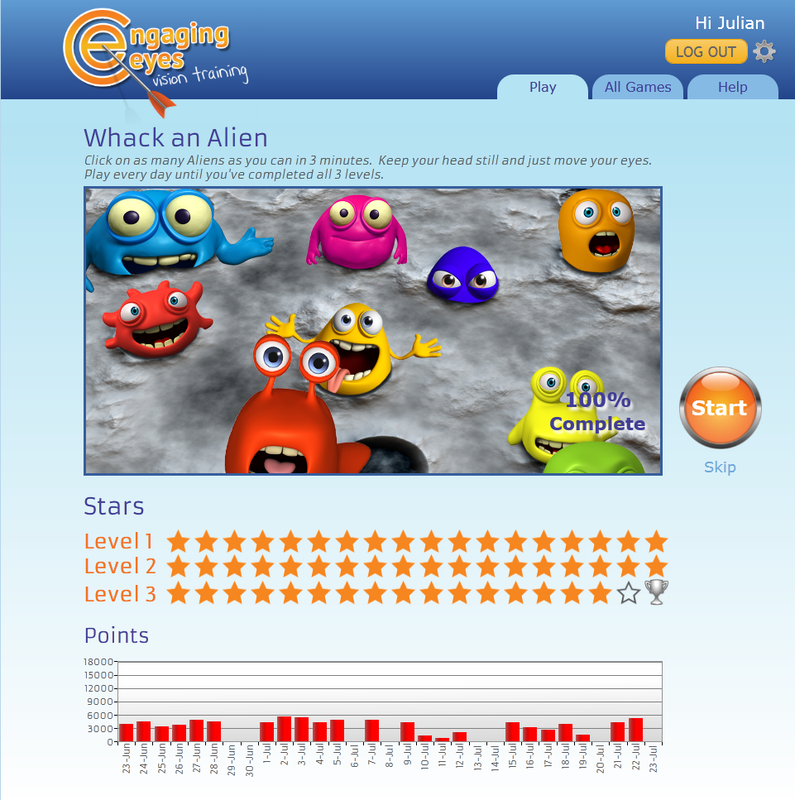 Engaging Eyes is a suitable intervention for pupils aged 5 – 11 years +. 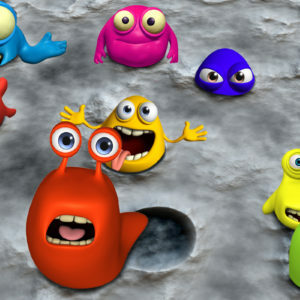 It is online so it can be played on any PC or MAC. 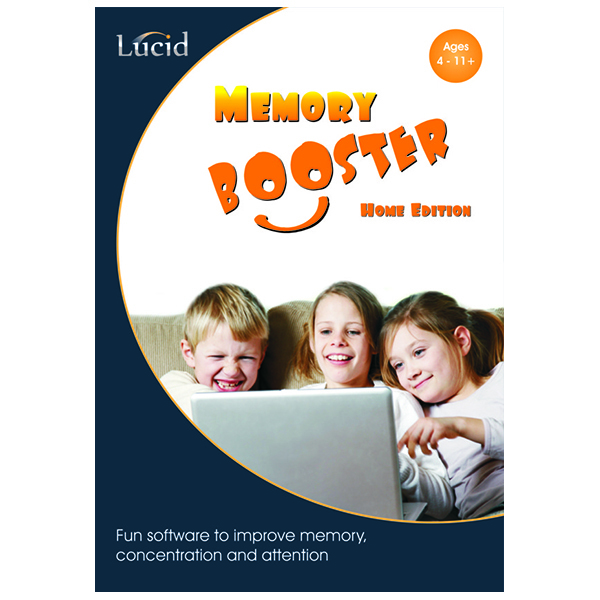 This online product is billed monthly in NZD. 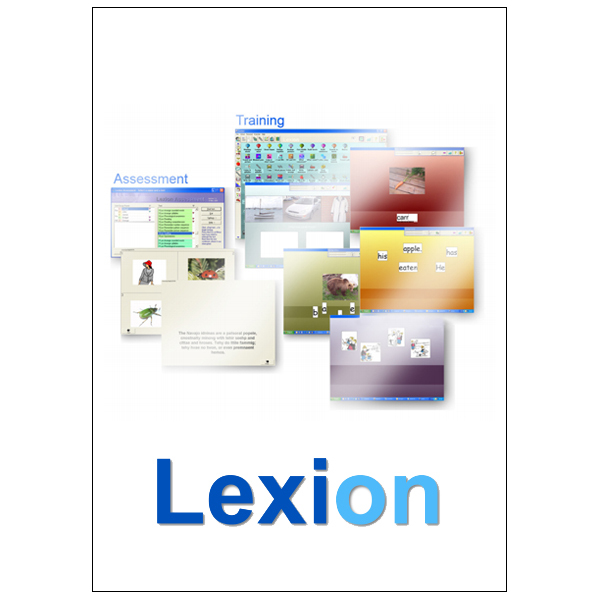 This purchase will not incur GST, VAT, or postage costs, however additional charges will apply for required glasses. 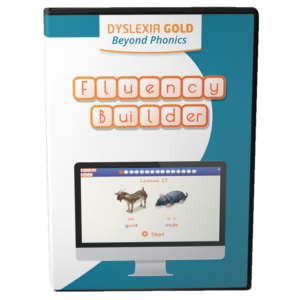 This video shows a child with vision problems trying to read. The red line shows where she was looking when she was reading. 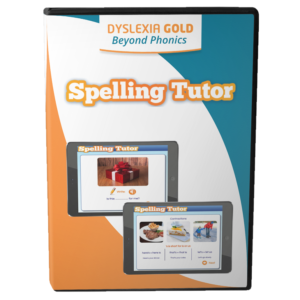 She is unable to control her eye movements, which makes reading very hard for her. When you listen to her read she reads slowly and with errors. Did you know the following can all be caused by vision problems? 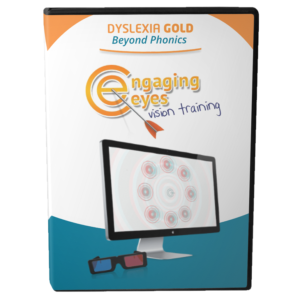 Playing Engaging Eyes daily improves these vision skills, enabling the student to READ FASTER, MORE ACCURATELY, and FOR LONGER. 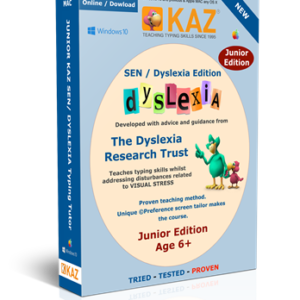 UK schools using this product have reported an increase in reading speed, an improvement in reading levels, an improvement in reading accuracy, and improvements in concentration, confidence and motivation. 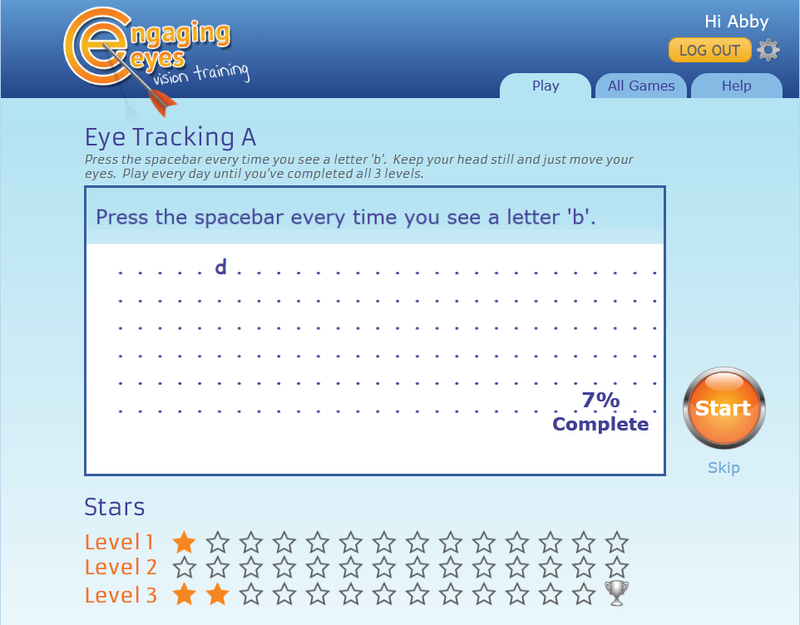 Engaging Eyes is a series of online vision training games which strengthen and improve convergence, saccades and eye tracking. 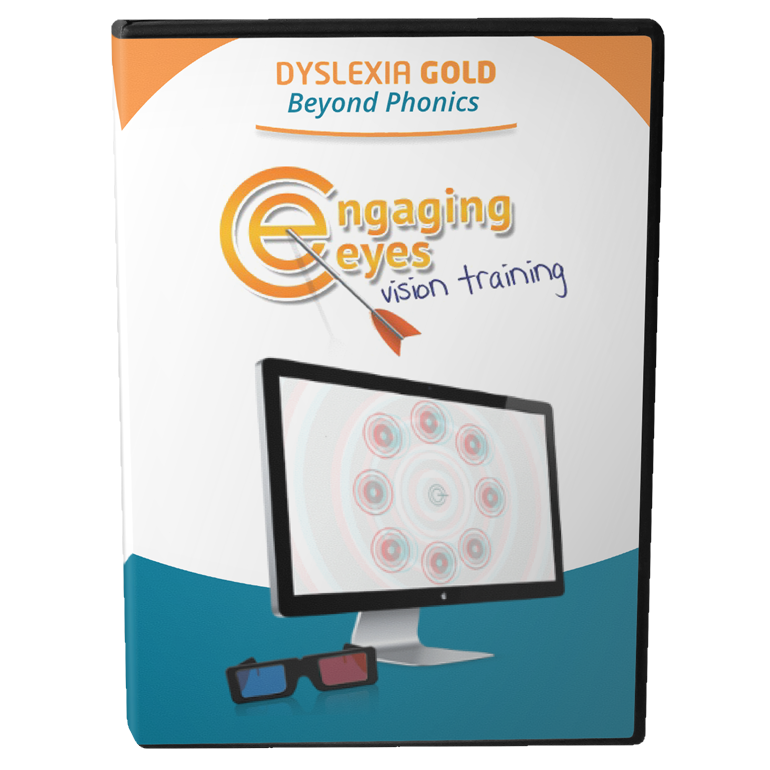 Playing Engaging Eyes strengthens convergence by using red / cyan 3D glasses to make both eyes work together. 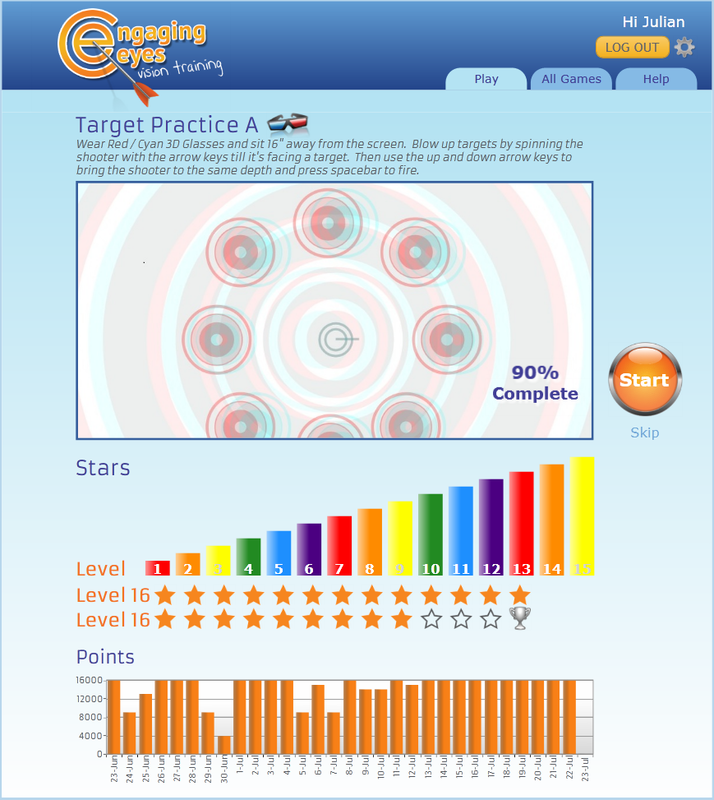 For best results, it should be played for 10 minutes every school day until all 16 levels have been completed. 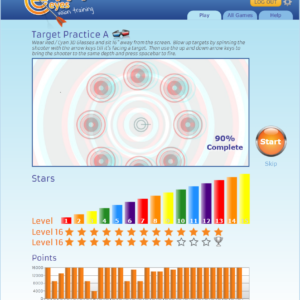 It takes over six months to complete all the vision training games, with improvements normally noticed within six weeks. 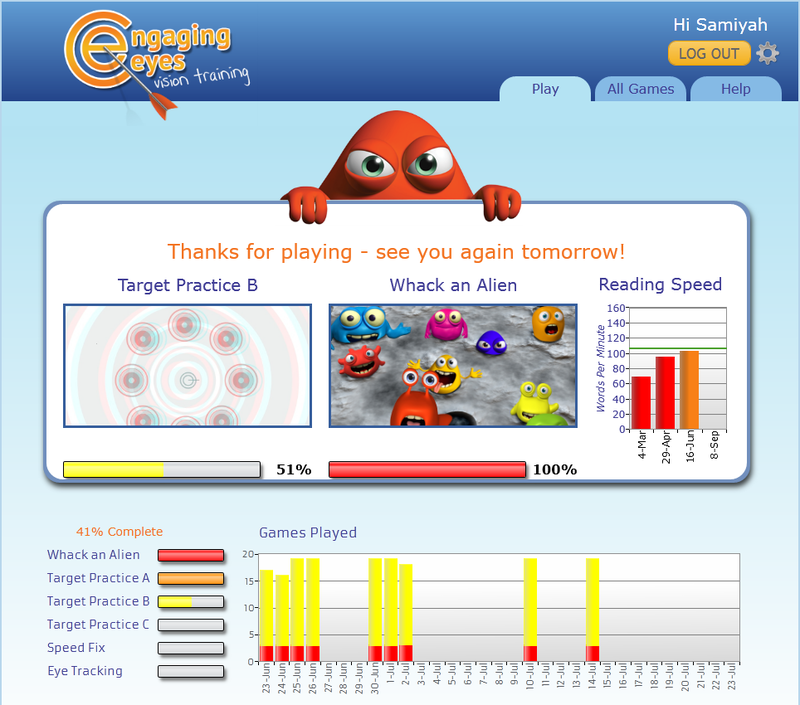 Engaging Eyes is a suitable intervention for pupils aged 5 – 11 years, plus has been used successfully with older students and adults. Up to 99% of people on adult literacy programs have the vision problem that Engaging Eyes helps. 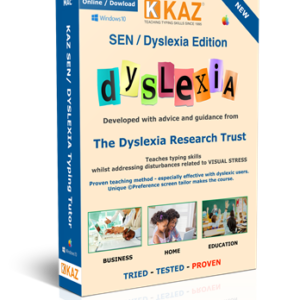 Some of the symptoms of dyslexia are caused by convergence insufficiency and eye tracking problems, e.g. 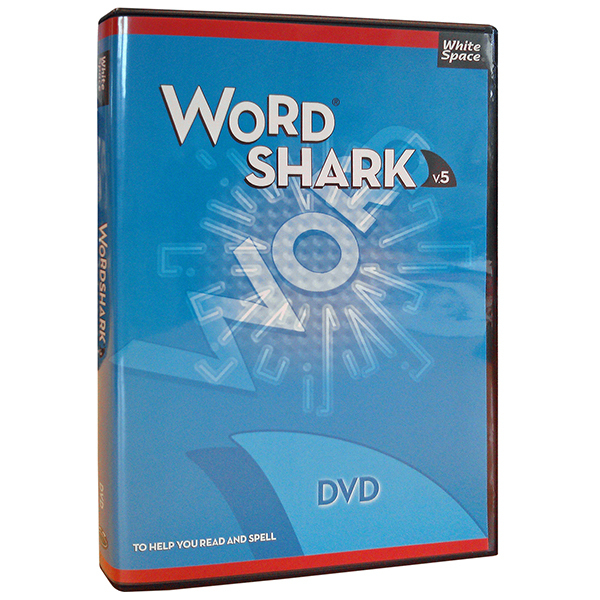 words moving or being blurry, reading the same line twice, trouble understanding or not remembering what you’ve read. 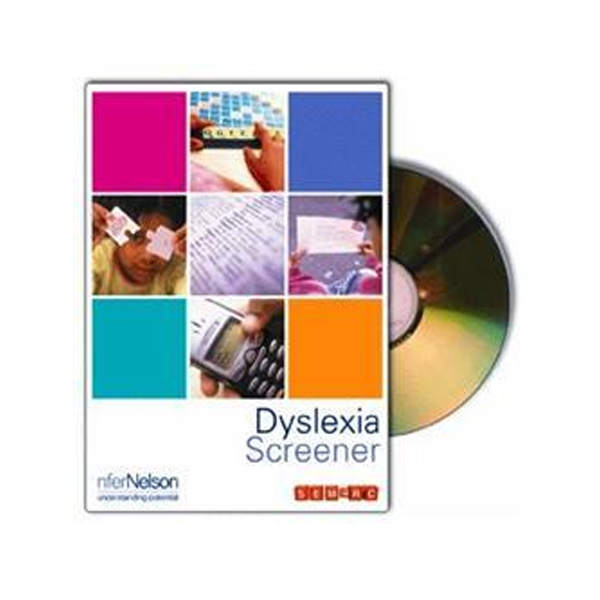 Students with dyspraxia often have problems with eye muscle control. 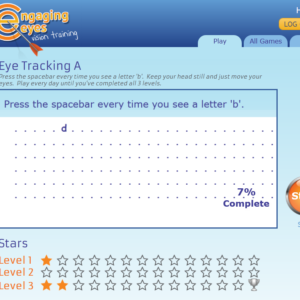 Engaging Eyes strengthens the eye muscles. If you can’t focus on what you’re meant to be paying attention to, then it requires much more effort. 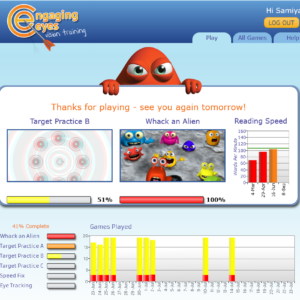 Attention has improved dramatically for some students after playing Engaging Eyes. 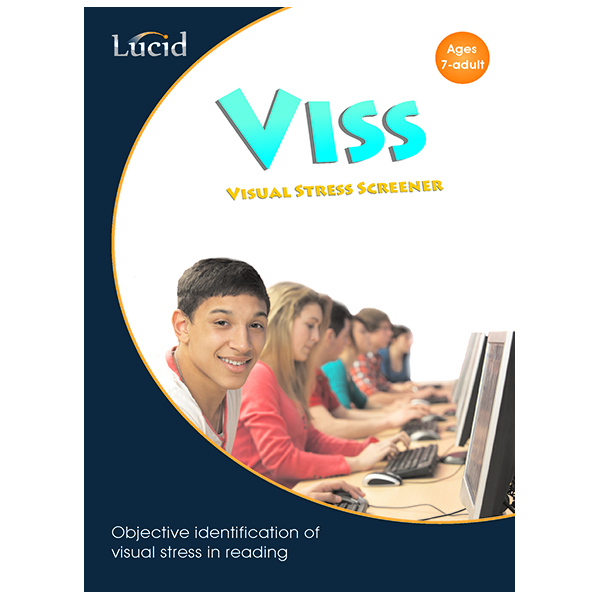 Those suffering from visual stress or Irlen syndrome may also have a convergence problem. The symptoms of both are similar. 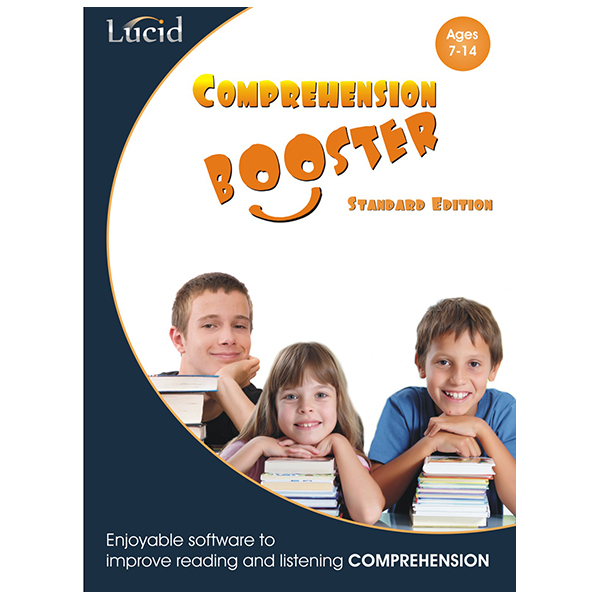 Students with autism are more likely to have convergence insufficiency compared to those with typical development. 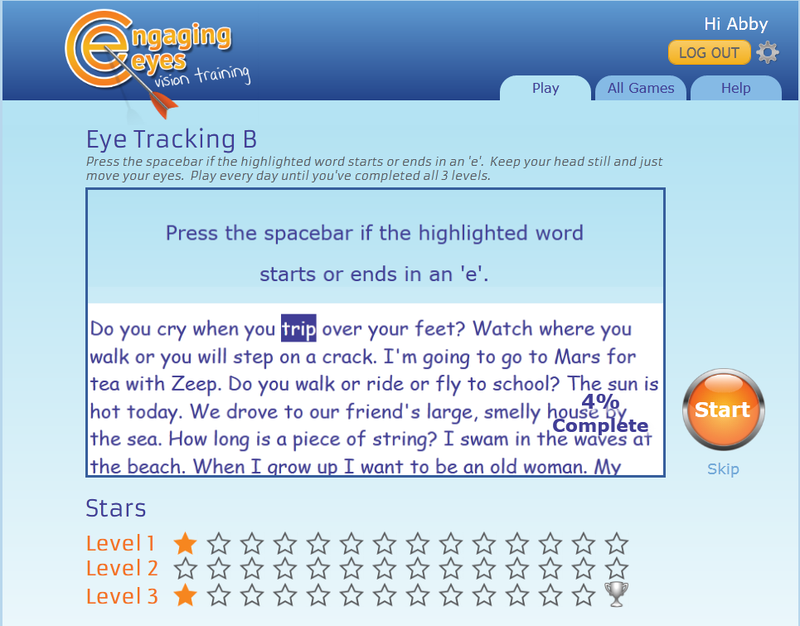 Although you do not need to be able to read to use Engaging Eyes, the student’s reading speed is assessed at the start of the intervention and every 6 weeks to measure improvements. 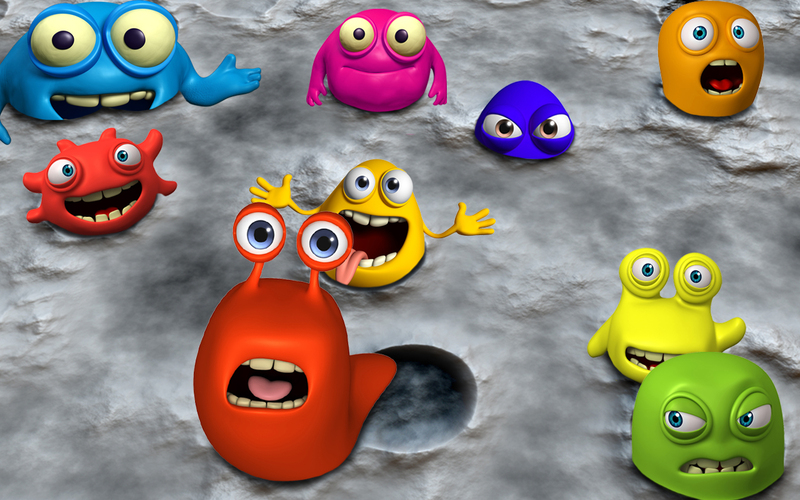 All schools are welcome to trial Engaging Eyes before buying.